The entire team at the ibis Sarlat hotel welcomes you to the Perigord Noir. Make the most of our ideal location, just a 10-min walk from the medieval city and 15 min from the Périgord's stunning sites. Foie gras and cultural wonders await. 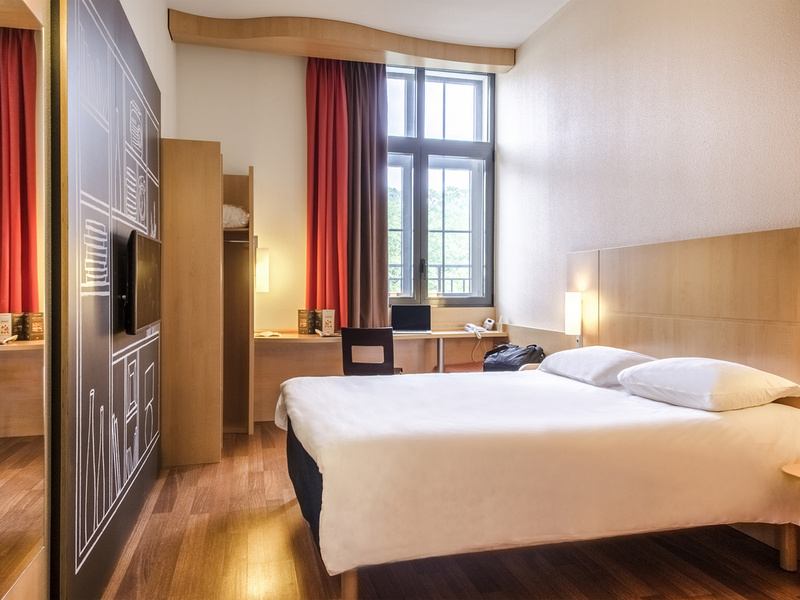 The 3-star ibis Sarlat hotel is located in the town center, 656 yards (600 m) on foot from the medieval city and train station. In the heart of the Périgord Noir region, this is a city of art and history, close to tourist attractions such as the Valley of the Dordogne with its castles, Lascaux, Rocamadour and more. The hotel has 69 soundproofed and air-conditioned rooms available with free WIFI and free private parking. Our bar is open 24 hours a day for drinks and snacks in a pleasant setting. All bedding is "Sweet Bed by ibis"